Británicos first fixture in May was going to be a tough test for the Brits. Fraher always bring a strong team with good technical quality, strength and a goal threat. 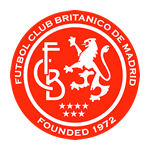 Británicos very much want to have control of their own destiny in the hunt for the title this season and this meant beating the top teams, like Fraher this weekend. With the Bunwer League going into its final two months, Rami had a clear message: “we have 7 match balls left to play for!” Yes, you read that correctly. Albeit with some of our questionable finishing at times, we do get through our fair share of match balls but only 7 left made sure the team knew they could not waste today’s match ball and a chance of 3 points against our title rivals. The selection for today experimented with a number of new positions for Britanicos and one position, in particular, being introduced to the football world for the first time ever. Jorge started in goal who was heaped with praise for missing a family communion, which I gather is somewhat important. Captain Ed was playing in the revolutionary false right back role; centre backs were Rama and Ricky (who under strict instructions was not allowed to mark, tackle or even go near their striker as only Rama could do this) and Harry at left back to complete the back four. The three central midfielders were Fabian, Matt and Calum. Mathias started on the left of the attack, with Joe down the middle and Ish on the right but sort of central but just to the right but central enough to allow our false right back to overlap. Británicos started brightly at Vallecas playing some tidy football. The build-up play from the defence was good and the midfield had comfortable possession through the early stages. Chances were rare for both sides but Britanicos were certainly on top. Matt nearly ran through from deep in midfield but a miscontrol before the last defender wasted the best early opportunity. Eventually, Britanicos possession paid off after 30 minutes with the ball breaking to Ish on the attack who curled the ball into the top corner with some style. This goal was crucial to release the pressure and give confidence to the men in red. Halftime: a good half from the boys who had the lead and had not given Fraher any chances so far. The second half was a very different story. Británicos had an unusually slower second half with much less of the ball. At times it felt like attack against defence. A combination of Fraher keeping the ball well and Britanicos not using the counter-attack to full effect meant the Brits had their backs against the wall. Again, this half did not have many clear chances at all. Some questionable decisions and bookings from the referee frustrated Britanicos with nothing coming off throughout the half. Mathias and Joe were replaced with Luigi and Doris to sure up the defence and provide some needed energy. Calum had one final chance in last 5 minutes to be sure of the win but hit it straight at the keeper. In the end, it would not matter as Britanicos saw out the win. Vital three points. Who doesn’t love a 1-0 win?! One match ball down six to go exclaimed Rami in the changing room! Well done chaps! Quote of the match: Rami Majid – One match ball down six to go! !